“The Strength of Vocation”, by Father Fernando Prado cmf, is based on four hours of interviews with the pontiff on the challenges of being a member of the clergy. It will be published next week. 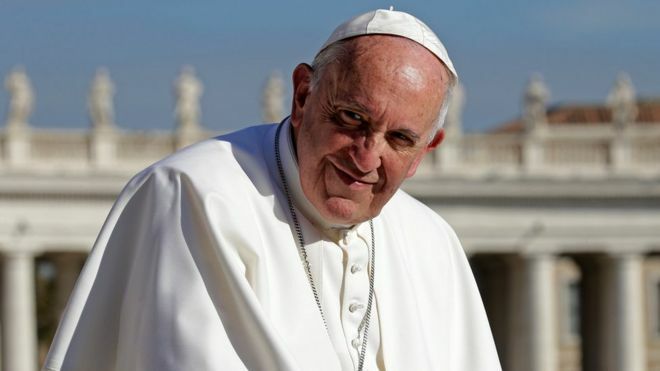 Pope Francis has said that homosexuality in the clergy is a “serious matter” that “worries” him. The comments were made in an interview about religious vocations, given to a Claretian Spanish missionary priest as part of an upcoming book. The pontiff described homosexuality as “fashionable”, and urged clergy to observe their vow of celibacy. Italian daily Corriere della Sera ran excerpts of the interviews on its website on Saturday. Pope Francis said that the Church had to be “demanding” in choosing candidates for the priesthood. 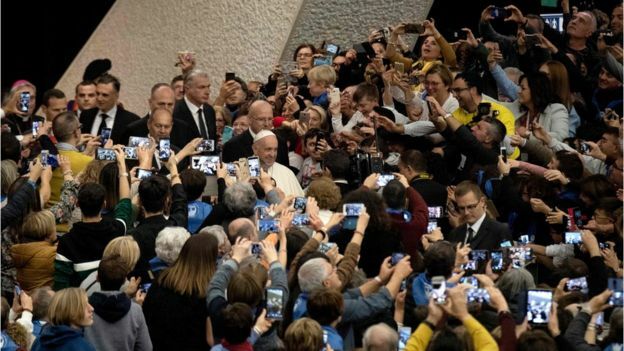 “The question of homosexuality is a very serious one,” said the pontiff, adding that those responsible for training priests must make sure candidates are “humanly and emotionally mature” before they are ordained. This also applied to women who wanted to become nuns. The comments made by the pontiff reiterate past Vatican statements about the selection of candidates for religious life. “In our societies, it even seems homosexuality is fashionable. And this mentality, in some way, also influences the life of the Church,” he went on to say. The head of the Catholic Church stressed there was “no room for this” in the lives of priests and nuns. In 2013, Pope Francis reaffirmed the Roman Catholic Church’s position that homosexual acts were sinful, but homosexual orientation was not. “If a person is gay and seeks God and has good will, who am I to judge?” he said. “The Strength of Vocation”, by Father Fernando Prado, is based on four hours of interviews with the pontiff on the challenges of being a member of the clergy. It will be published next week.